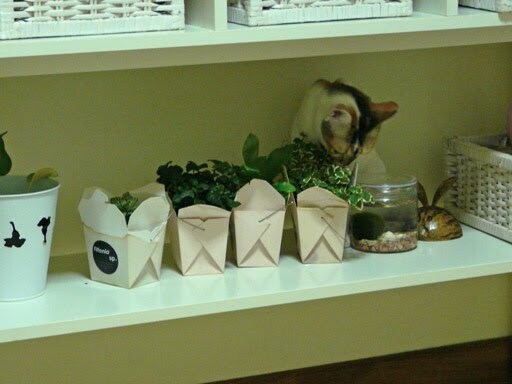 I was watching TV when I caught Creme stalking behind the 4 wedding favour plants from SY & J's wedding. 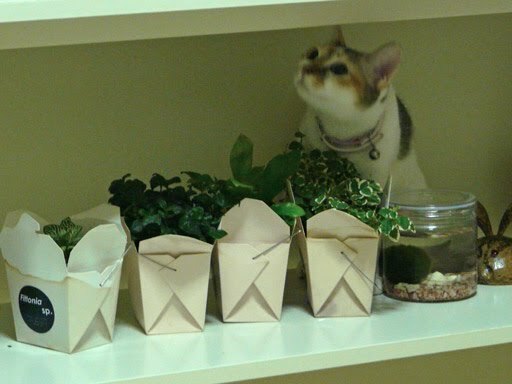 Thinking that I had my eyes glued to the TV screen and was not looking at her, Creme started to bite the leaves, and I immediately yelled "Creme!" Here's her 'got caught' look. 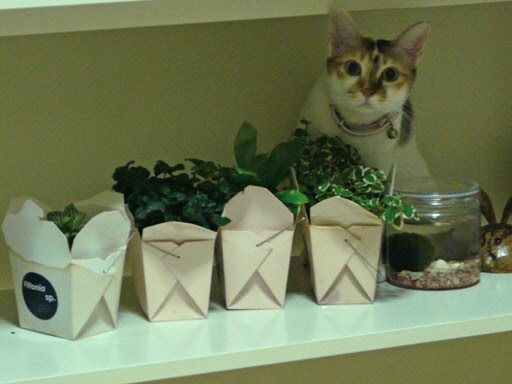 She then pretended to look elsewhere but stood still behind the plants. At least, the plants are safe and thriving well.